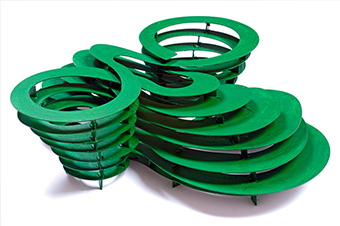 The GREEN SCULPTURE projects combine our natural and cultural world on which we depend and are a part of. The projects deal with the notion of space with the underlining idea of humanity’s need to cooperate with nature. 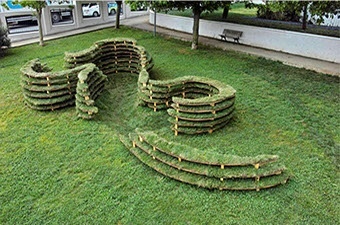 The idea is to build a structure that interacts with the environment. 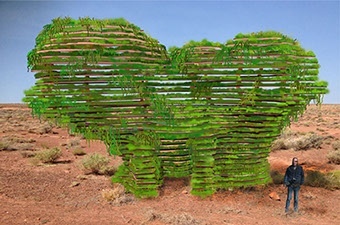 Plants are incorporated into the overall shape of the structure representing organic forms of life. 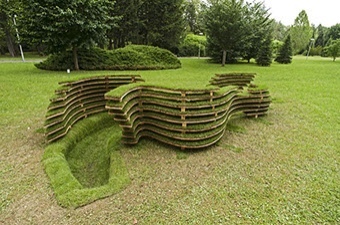 The concept of a living sculpture includes plants, which are placed onto the layered structure. The structure is then placed into the public sphere. This requires only watering and some monitoring which can be provided even by spectators or volunteers. This effort may produce a type of public ritual, instilling the feeling of empathy and a sense of responsibility within the community. This living organism requires care and attention so that it doesn’t perish and will not become a symbol of desolation. A work of art evoking social reaction and care is a certain requirement of our times. We must look after and care for the natural and cultural environment. Such is the necessity today. Sculpture, especially in a social, urban context, cannot be a piece of "beautifying" matter, but often litters the urban and non-urban landscape. 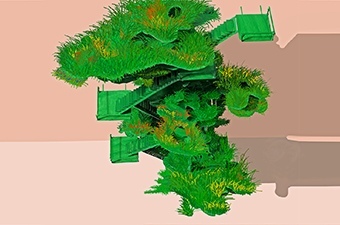 This sculpture, especially in the classic Urban Jungle, is an important symbol of an unavoidable bond with nature, which must be of particular importance in the mind of the architect or artist today. This bond is a last refuge. We must remember that this seemingly obvious bond connects us with nature. It’s nonsense to build cities where hundreds of thousands or millions live in an artificial, grounded space. 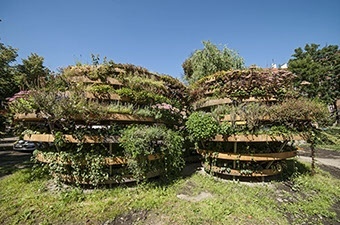 The city of the future must be adapted to the natural environment within which we make the right solution in terms of aesthetics, energy, and function.